And, just like that, we're into Christmas beer mode. For my initial post of the season, I figured I'd go with a beer with which it seems everyone I know is familiar. Every year, the day this ale releases, my newsfeed is flooded with posts about people breaking into their first 201X pint of it. They post pictures of themselves at bars with smiles on their faces. They share Instagram photos of the six pack of it they just bought. They even tag each other in statuses about it. Few people I know get into Christmas music before Thanksgiving, but everyone rants and raves about the ale at hand the moment it releases. I guess beer takes the Scrooge out of them. Anyway, my friends in Ohio treat Great Lakes like my family in Michigan treats Bell's--that is, with respect. So much respect that they act like their favorite brewery can do no wrong. Let me lay this out here: both these breweries have fantastic beer. 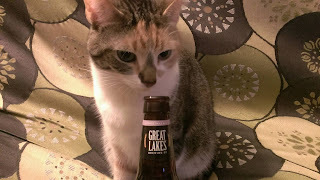 I've discussed good Bell's brews previously, and Great Lakes lays claim to some of my favorite drafts. 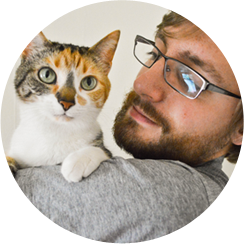 But, is anyone perfect? If you love Great Lakes' trademarked Christmas Ale, you may want to sit down for this one. Great Lakes Brewing Company began its tradition of Cleveland-based brewing way back in 1986. Pat and Dan Conway (Great Lakes' founders), along with brew-experts Thaine Johnson and Charlie Price, initially envisioned a 7-barrel brewing system. Over the two (and nearly one-half) decades the company's been in business, that operation has expanded to 100,000 barrels. The brewery's won numerous awards for its offerings and is committed to doing their part in protecting the environment. See more information on Great Lakes' history over on their "Our History" page. According to that "Our History" page, linked directly above, Christmas Ale has been around since the early nineties. The official page for the trademarked ale boasts that it has an ABV of 7.5%; contains cinnamon, ginger, and honey flavors; and has won a combination of a total of six gold and silver beer medals since 1999. Purrl enjoys Christmas Ale's aroma. She went as far as to give it nine whiffs. I can't blame her here: the ale smell delicious. It has hints of a porter lingering around. And just the slightest bit of honey layered into the scent. As much as I like the brew's aroma, it doesn't make me like the ale's flavor any more than I do. Let me say this now, I do not enjoy the taste of Christmas Ale. There's too much going on here. There's honey. Very prominently, there's honey. There's the spiciness that you'd typically find in a Christmas brew. Sometimes there's an oddly wheaty aftertaste. Other times, the aftertaste is all honey. And every so often, like right now, it's kind of like black licorice. I've even caught some chocolate in there, as well. It's murky. If you take out a single ingredient, it doesn't matter which one, it'd be great. But, since they're all intermingling within this bottle of beer, it's displeasing to me. Christmas Ale has a thin mouthfeel. It's like carbonated water. You can down it quickly, if you want. But, that'd be pretty foolish given the beer's ABV. Have you ever been hiking while hungover? It's not fun. Well, it doesn't start out fun but, as you hike and consume water, you get over the hangover. Then, it starts to get fun. I did a hungover hike once. It was during my undergrad at Ohio University. My friends and I had planned the hike for at least a week. Then, the night before, a bunch of us went out to a party and got wasted (off of jungle juice, which contained a seemingly endless amount of Popov and was [legitimately] mixed in a bathtub). But, despite the massive hangovers most of us had the next day, we all went on the hike. It was awful at first but, over time, it got better. I had a hell of a lot of fun that day. It was early spring (or late fall--I can't actually remember which) and the sun was shining. It's not a Christmas-time memory at all, but it's exactly what Christmas Ale brings to my mind. 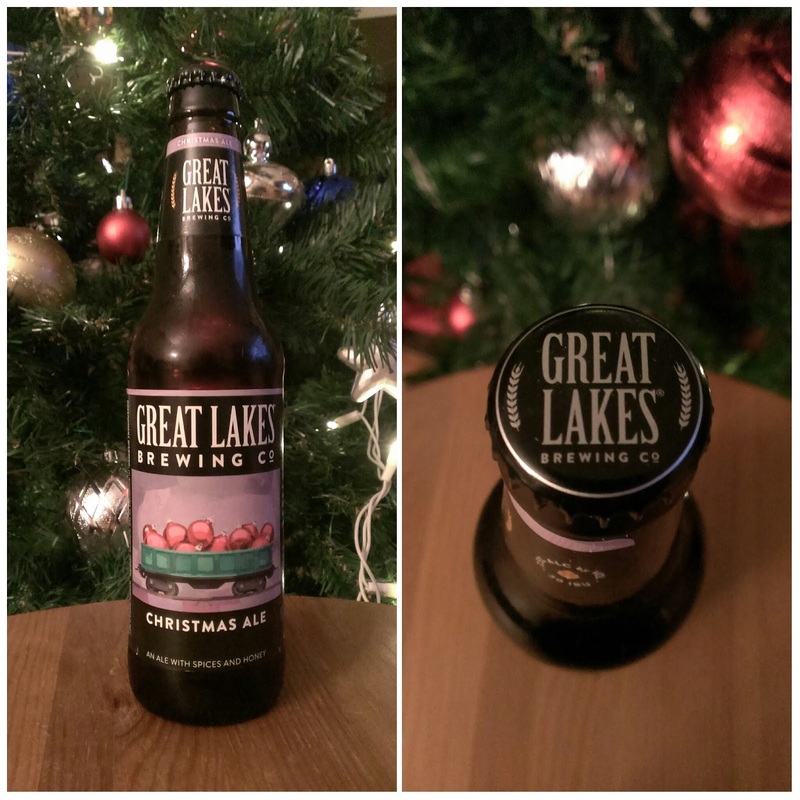 Great Lakes Brewing Company's Christmas Ale is a swing and a miss. It isn't bad by any means--I'd much rather have this than a Natty or Bud. Those are bad beers. Christmas Ale is merely sub-par; below-average. Odds are you be better off drinking one of the upcoming Christmas beers I have to review in the next few weeks. In short, Christmas Ale takes home a John Likes Beer rating of 6/10. If you like it this rating won't change that. If you want to try it, go for it--you could certainly do a lot worse. But, I would definitely recommend something else.